REUTERS/Kimberly WhiteTim Cook and Steve Jobs, current and late Apple CEOs. We know it's intense - a fantastic story in the New York Times recently described the extreme lengths Apple's engineers went to to get the iPhone ready for its 2007 launch. But we wanted to hear what it was like from the employees themselves, and not just those picked to be at the center of its flagship projects. Luckily, there is a Quora thread devoted to answering this question. We put together some edited quotes from the more interesting answers. Some of their answers date back to the Steve Jobs era, and some of them are more recent. 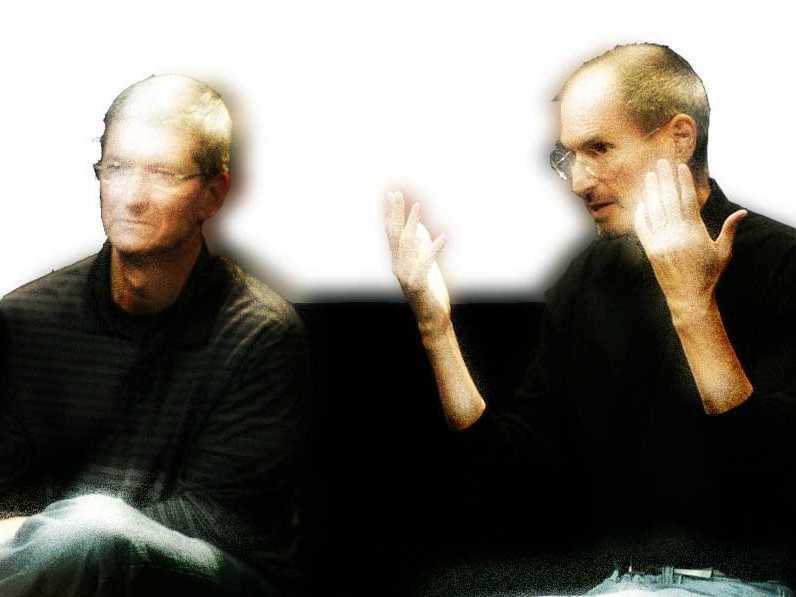 "If I was still at Apple, I would not be responding to this question, nor would I feel wronged for not being able to. … The general idea is this: You are part of something much bigger than you. The ideas you talk about in the hall, the neat tricks you figured out in CSS, the new unibody machining technique, that's part of your job, something you are paid to do for Apple's success, not something you need to blog about to satisfy your ego. Don't f--- it up for everyone." Anonymous employee as reported on Macrumors: The cafe is awesome. 10Should Companies Really Pay For Everything Their Employees Eat While Traveling?